It snowed this week in the UK. You’d have thought the world had ended by the headlines and chaos that the white stuff causes, but no, it is just that we are not used to it. Gone are the days from our childhood where we seem to have snow for weeks, built snowmen, had snowball fights and went sledging. But if you look back at the weather reports it was never quite as long as we thought. However we remember the weather and however inconvenient the snow is to our lives, there is an element of beauty that it brings to the landscape when it does snow. 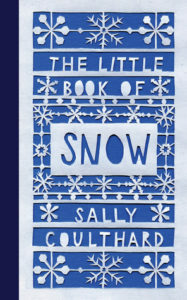 However there are a lot of facts about snow that aren’t always true and this book by Sally Coulthard uncovers the history, science, literary and cultural in a charming way. So if you want to know who holds the record for the largest snowball fight and why an attempt on the record failed, or why each snowflake is different, what the differences are between climate and weather and how ice can tell us about them. She tells us about snow rollers, what a blind smuir is and how old the ski is. 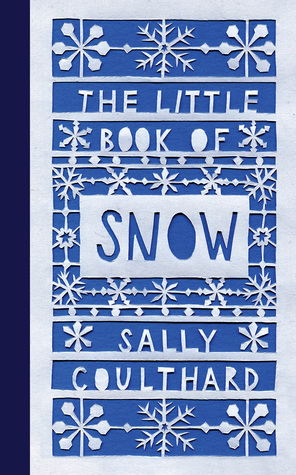 This charming little book is a perfect gift for all those that like the winter.